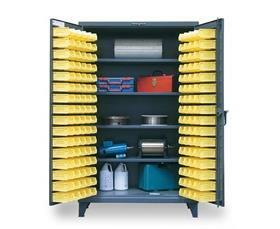 Strong Hold builds the toughest storage solutions available. The Bin Storage Cabinets with Shelves features a 12-gauge steel body to protect valuable tools from standard industrial abuse and adjustable shelves to easily create space for large equipment with a capacity of 1,900 lbs. each. 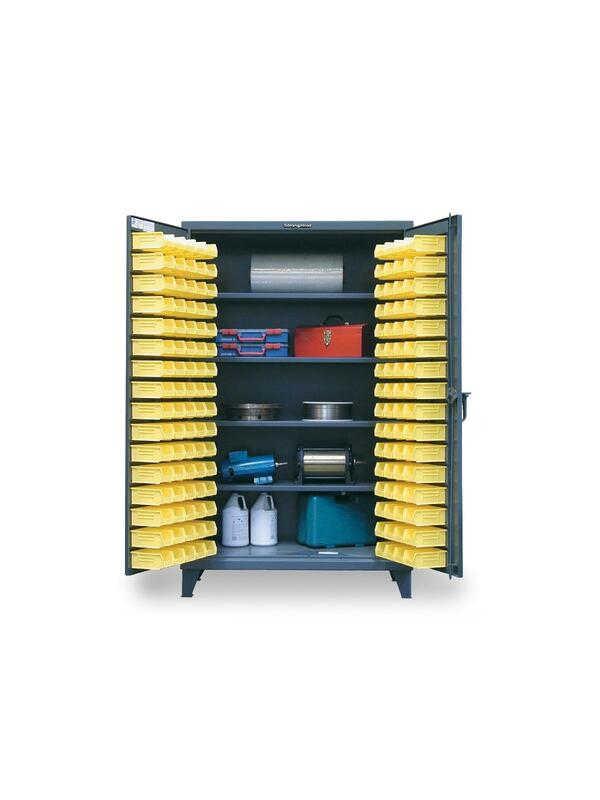 The cabinets include a 3-point locking system for extra security using a standard padlock and removable polypropylene bins for easy part selection and restocking. FOB Shipping Point.